NASA’s Operation IceBridge—the airborne mission flown annually over both polar regions—is in its tenth year making flights over Antarctica. On October 16, 2018, researchers flew over the Antarctic Peninsula to monitor changes to the glaciers along the peninsula’s coast. 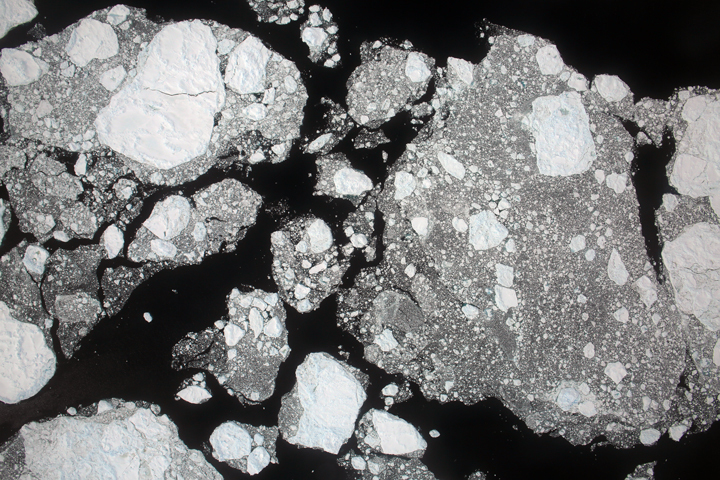 The iceberg is in the vicinity of the much larger iceberg A-68A, which broke from the ice shelf in July 2017. 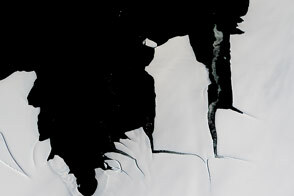 Since then, A-68A has been repeatedly smashed against Bawden ice rise, an ice-covered rock outcrop near the edge of the Larsen C ice shelf. 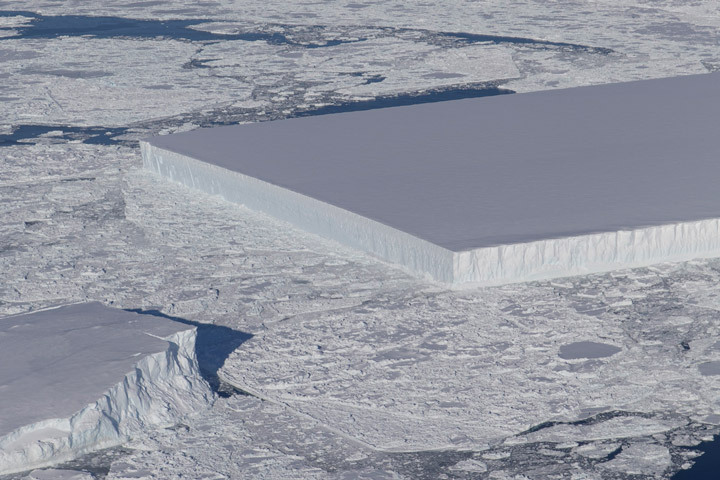 Such a collision of a huge, movable mass (iceberg) smashing into an immovable object (ice rise) can cause pieces of ice to splinter off into clean-cut geometric pieces. This particular trapezoidal piece is about 900 meters wide and 1500 meters long. Photograph by NASA/Jeremy Harbeck. Caption by Kathryn Hansen. 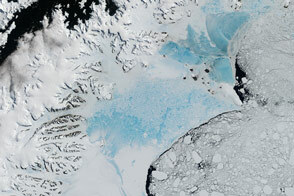 NASA IceBridge (2018, October 23) 2 Rectangular Icebergs Spotted on NASA IceBridge Flight. Accessed October 23, 2018. 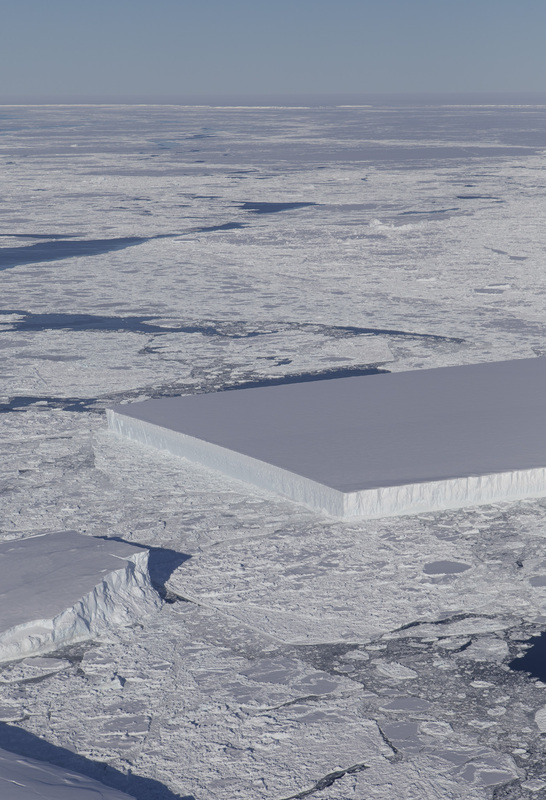 The Washington Post (2018, October 23) Thereâs a perfectly rectangular iceberg floating in Antarctica. Hereâs how it got that way.. Accessed October 23, 2018.